Kevin Martin leads the Institute for Corporate Productivity's (i4cp's) research operations, which includes planning and managing the execution of the company's research projects, as well as oversight of its research working groups. i4cp's research reveals the "people practices" that make high-performance organizations unique and have the greatest correlation to market performance. A highly sought-after speaker on all aspects of human resources and talent management, Kevin has produced hundreds of research assets pertaining to best practices in human capital management (HCM), and has extensive experience in global HCM. He and his team's work are frequently cited in leading trade and business media around the world. Kevin has been recognized as a "Top 100 HR Influencer to Follow on Twitter" by Witty Parrot and a "Top 100 HR Influencer" by HR Examiner. Prior to joining i4cp, Kevin worked for Aberdeen Group, where he built one of the industry's leading human capital management research practices. While at Aberdeen, he served in several roles including VP and Principal Analyst for HCM, SVP of Research Operations with general management oversight of the company's 17 research practices, and SVP of International Operations. 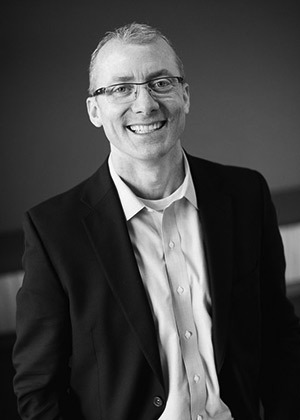 Prior to Aberdeen Group, Kevin spent 18 years leading the sales and marketing efforts at several companies in multiple industries; with the last 10 years dedicated to the Human Capital Management industry. Kevin currently serves on the advisory council for the University of Dayton's school of business administration. From 2009 to 2011, Kevin served as board president for Big Brothers Big Sisters of Central Massachusetts, an organization he's been affiliated with since 1995; first serving as a Big Brother from 1995 to 2004 and then serving on its board of directors from 2005 to 2014. In 2006, Kevin was awarded the Commonwealth of Massachusetts's "Big Brother of the Year". Kevin earned a Master of Business Administration degree from Boston University and a Bachelor of Science in Business Administration degree from the University of Dayton.